Database Systems Corp. (DSC) is technology company that has been in business since 1978. DSC provides call handling systems and outsourcing phone services. One important application developed by DSC is the CARE (Call Reassurance) calling program. Using CARE systems, individuals can be called with reminders to take their medications at a prescribed date and time. CARE phone systems have been acquired by local police departments and county sheriff's offices throughout the country. DSC also has installed these systems at its own modern data center. This allows individual subscribers to enroll for these services online. 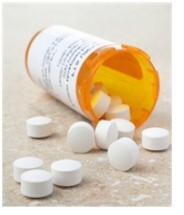 IS a common occurrence - 50% of people don't take their medications as prescribed. CAN keep people from getting better and sometimes CAN lead to additional health problems. IS responsible for 10% of all hospitalizations and over 125,000 deaths annually in the cardiovascular area alone. DSC provides an individual medication reminder service that automatically calls a subscriber and plays a recorded phone message that reminds the individual to take prescription medications. DSC can deliver these "take your pills" reminders to anyone who has access to a cell phone or simple telephone. A pre-recorded voice message (or SMS message) can be sent to either to an answering machine or to the subscriber to this service with a reminder to take a prescription medication. Simple to complex interactive voice response phone menus can be developed for touchphone response using DSC's IVR technology. For example, calls can be directed to medical personnel such as a doctor's office if the notice requires more than simple medicine reminders. 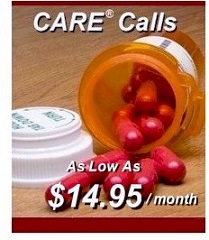 Contact DSC to learn more about our automatic medication reminder calling services and phone systems. How Does Our Medication Alarm Service Work? The CARE medication alert service calls subscribers (on the days and times they specify) and greets them with a recorded message. The pill reminder subscribers are instructed to "Press 1" to acknowledge the calls. If after several attempts the individual does not answer the phone or acknowledge the call, the CARE program will contact the designated contact(s), playing an alert message, and send email alerts as well. Two contacts can be designated and CARE will alternately call each one until the call is acknowledged (for up to 1 hour). Contact DSC to learn more about our medication reminder services that send pill reminders by phone.